I often ask myself when is that very moment when love turns into obsession?! Is it when you realize that your life does not have a meaning without your loved one? Or is it when you feel that you couldn’t love more than you are loving right now because you have already given everything? Maybe neither, maybe both . Maybe love itself is some kind of obsession. If you feel trapped in your own skin, if you know you feel it but you cannot help it believe me you are not alone. That feeling of possession is only an illusion. If you want to live peacefully, and if you want to let love find it’s way you will have to let it go, and surrender yourself to true love. Don’t destroy the little light of faith in yourself. Love yourself first, let the love of your life have the chance to show you love. You may loose or you may win. 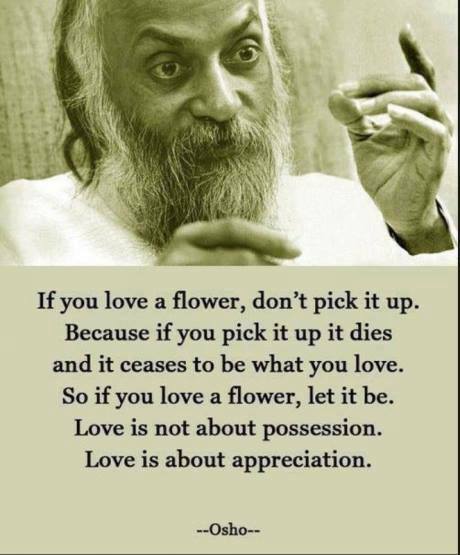 But choose to appreciate what you have and you will enjoy the sweetness of the true love.